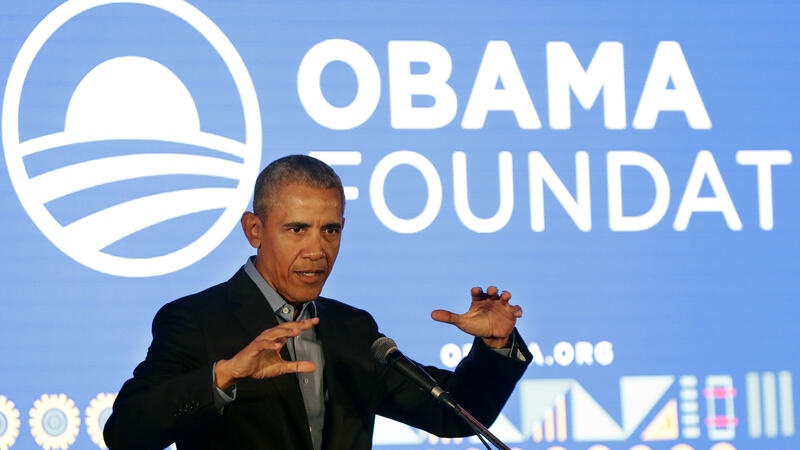 Former President Barack Obama speaks during his town hall for the Obama Foundation at the African Leadership Academy in Johannesburg, South Africa, last month. "I'm confident that, together, they'll strengthen this country we love by restoring opportunity that's broadly shared, repairing our alliances and standing in the world, and upholding our fundamental commitment to justice, fairness, responsibility, and the rule of law. But first, they need our votes — and I'm eager to make the case for why Democratic candidates deserve our votes this fall." All of Obama's endorsements Wednesday come in states that have already held their primaries, so he is not wading into any intraparty contests. But earlier this year in California's Senate race, he endorsed Democratic Sen. Dianne Feinstein, who faces a challenge from the more progressive former state Senate President Kevin de León because of the state's top-two ballot system. The former president has kept a low profile so far on the campaign trail, only appearing at closed political events, such as fundraisers. But with the announcement of this round of endorsements, Obama says he plans to campaign in several states ahead of November. He'll also continue his work with the National Democratic Redistricting Committee led by his former attorney general Eric Holder. The former president did signal there will be more endorsements. Obama's endorsements include Democrats running for the U.S. House and Senate, governor and other Cabinet positions, as well as state legislatures. The only Senate race he has endorsed is in Nevada, where Rep. Jacky Rosen will face GOP Sen. Dean Heller in the Democrats' top pickup opportunity. In this announcement, Obama didn't endorse any incumbent senators fighting for re-election though. He did throw his weight behind Stacey Abrams in Georgia, who could become the first black woman ever elected as governor if she wins. Obama also endorsed several congressional candidates in races critical to Democratic hopes of taking back the House in places like California, Illinois, New Jersey and Pennsylvania.